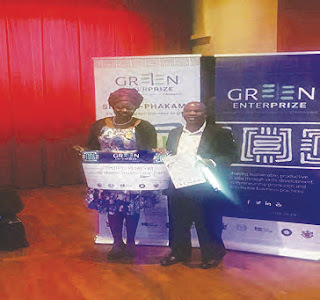 HARARE - Timothy Mudarikwa, a Masvingo businessman with visual impairement has won US$5 000 in the Simuka-Phakama Green enter Prize Innovation Challenge Competition which is run by the International Labour Organisation (ILO). He shrugged off competition in a heavily subscribed Challenge to come out first in the category for people living with disability. There were 250 entries in all categories. 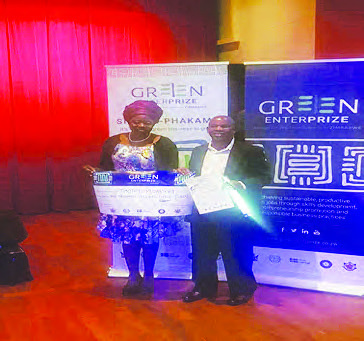 The first prize was US$5 000 and business incubation for one year, second prize US$ 2 500 and business incubation for a year and third prize was for business incubation for one year. Some 18 businesses across nine categories received financial support. In the challenge, the small scale entrepreneurs are required to come up with business concepts which they implement as a business plan. These are then judged for their success and various stakeholders give support to the entrepreneur. ILO runs the programme in collaboration with the Government of Zimbabwe, the Employers’ Confederation of Zimbabwe and the Zimbabwe Congress of Trade Unions supported by the Government of Sweden. “I was very happy and surprised when I won this award. This was my first time to participate and I had only wished for a third prize but surprisingly I got the first prize. I want to thank ILO and their partners for recognizing the disabled and giving them the opportunity to showcase their entrepreneurship skills,” said Mudarikwa. Mudarikwa who is also the owner of a company called Poultry and Organic Garden runs Nuspectt Investments Private Limited trading as Nuspectt Garden and Poultry Products (NGPP) in Clipsham in Masvingo where he produces organic garden and poultry products. Results of the Challenge were announced at 23 Kenny Road, Avondale, Harare where the the Minister Of Public Service, Labour and Social Welfare, Sekai Nzenza was the guest of honour. Mudarikwa entered in the challenge in October 2018 by providing a business concept and developing it into full business plans. The business plans are implemented in collaboration with local business development service providers to offer financial and non-financial services to innovative green and growth oriented small and medium-sized enterprises. In his business, Mudarikwa produces broiler chickens, eggs, cabbages, butternuts, tomatoes and watermelons. He said he produces at least 716 000 eggs, eight tons of white meat and 120 tons of vegetables per year.